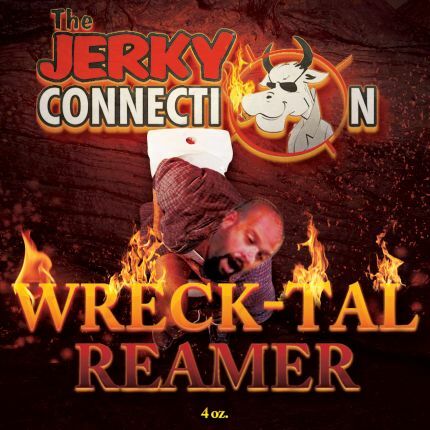 Three New Jerky Brands Get Extremely Hot! Meat snackers are now getting their tongues extra-toasted with three new entries into the world of fiery hot beef jerky. First is Katie’s Beef Jerky: Carolina Reaper. 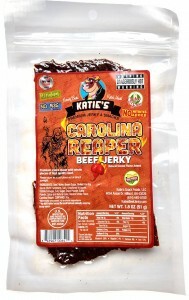 A brand that’s quickly gaining popularity among chile pepper fans, Katie’s Beef Jerky issued their new Carolina Reaper variety. With an aroma that punches the nostrils immediately after opening the package, these slices of capsicum-soaked top round are cut against the grain, and marinated in real, whole Carolina Reaper peppers, not extract. The light orange-red dusting on these slabs immediately imparts a pungent, earthy Carolina Reaper flavor against a light sweet and touches of garlic and onion seasoning. The heat comes on strong, piercing the tongue with jabs of fire and releasing drops of sweat down the neck. The meat consistency remains semi-moist, with a meaty, almost steak-like chewing. Thinly sliced slabs of beef allow for ease in tearing off and chewing permitting tongues of lesser tolerance to swallow sooner if they choose. 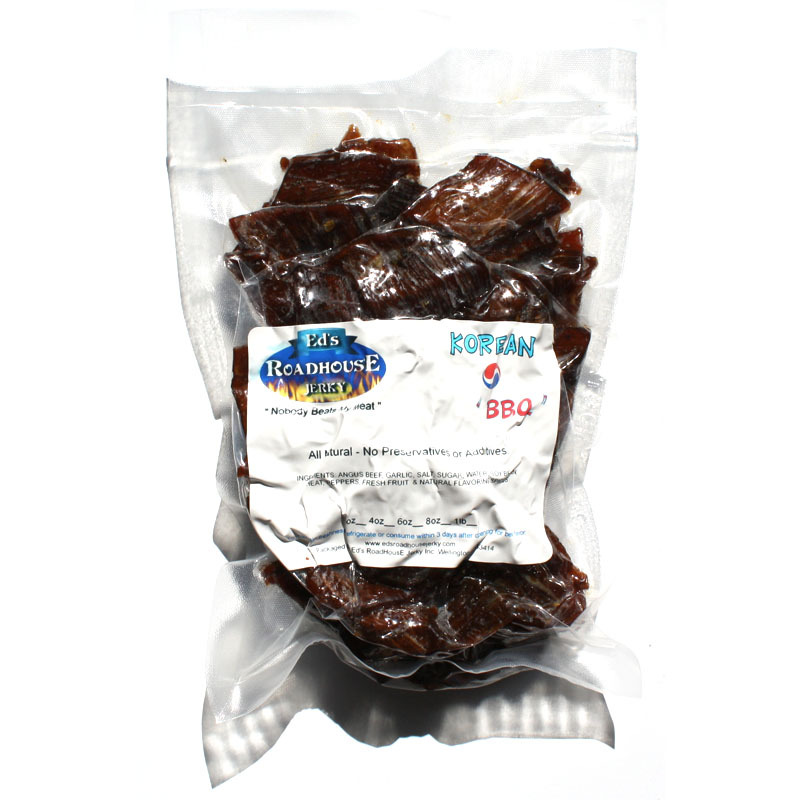 But, this is a jerky for seven-figure Scoville enthusiasts intending to savor each bite for maximum impact. 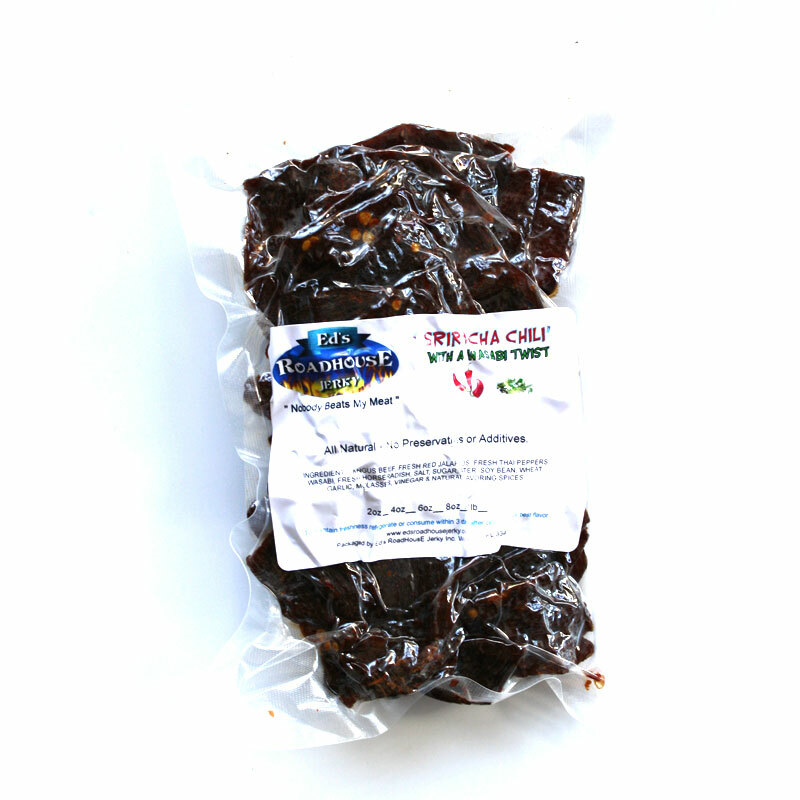 What we really love with Katie’s Beef Jerky is the full flavor of chile peppers, not just the heat. The light seasonings allow the Reaper flavors to come through clearly while still creating enough savory chewing to keep on snacking. It tends to be, however, a one-dimensional jerky, putting all the focus on the fiery fruit, but yet it doesn’t pull any punches, and gives you your money’s worth. Buy it online here. Editor’s Note: Steve Johnson is an independent evaluator of new fiery foods & barbecue products. His opinions are his own and are not related to the Scovie Awards Competition.